Know someone who loves chocolate? 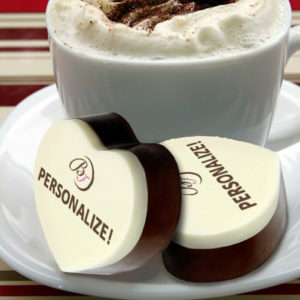 Love someone who loves chocolate? This is the gift to give. 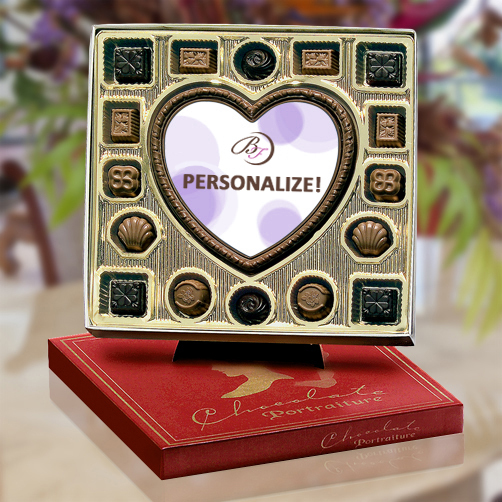 A personalized chocolate heart printed with your custom photo or message, then surrounded by 16 truffles in assorted flavors. Warning: Giving this gift might result in crying, laughing, hugs, kisses, or a combination of all. Err on the side of caution and pick up a box of tissues on the way home. 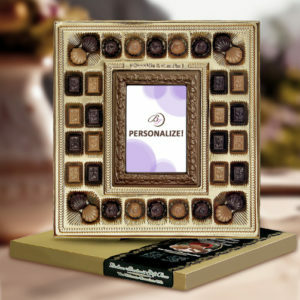 Includes a 6 x 6 chocolate portrait with your photo or message, and 16 truffles in assorted flavors.